This book includes strategies on how to build a translation agency, improve your translator credentials & resume, and industry advice on being a successful translator. 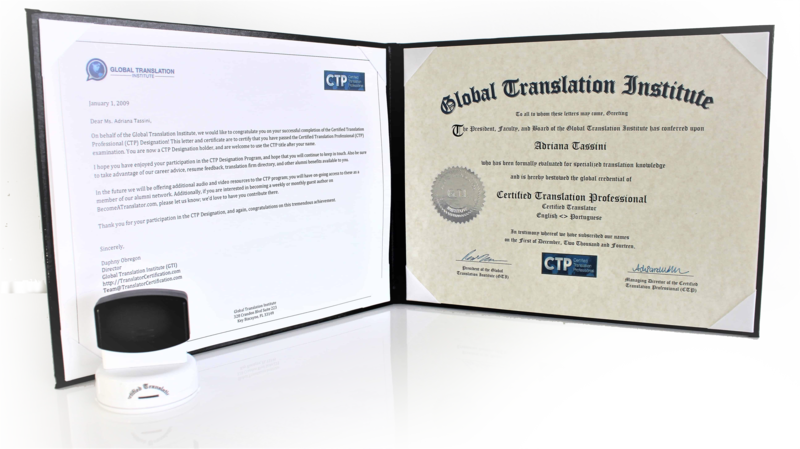 This PDF Guide is FREE and it shows you how to become a certified translator. 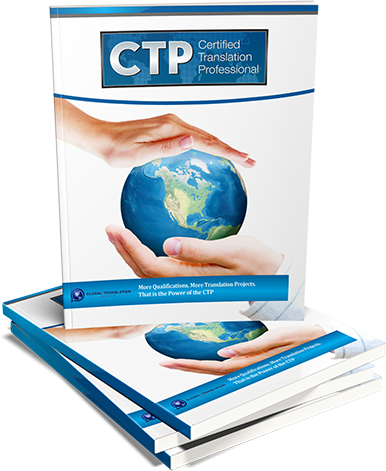 Now in its 4th version since first being written in 2008, it was created to provide translation professionals and students with a free source of career advice, business building tips, and translation best practices. 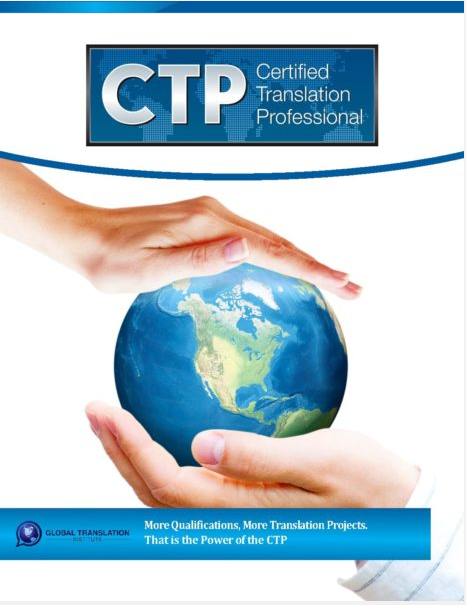 Throughout this guide, you will find articles on these three areas, and this resource will be updated every year with more advice, interviews, tools, and links to additional resources related to the Certified Translation Professional (CTP) program, the #1 leading global training and certification program that over 2,000 translators have registered for.